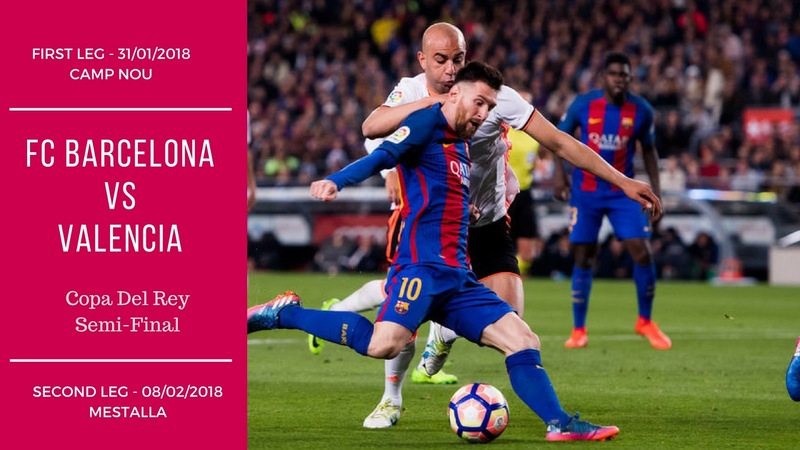 FC Barcelona faces Valencia in the first leg of Copa Del Rey Semi-Final at the Camp Nou on Friday night. FC Barcelona will be facing Valencia FC tomorrow night in the first leg of Copa Del Rey Semi-Final tie at the Camp Nou. When the draw was made everyone agreed this was was the toughest draw possible for Barca. Not only we have to play Valencia but we have to play the second leg at Estadio de Mestalla. Valencia lies currently in 3rd position in the League and will present a huge challenge for Barca to overcome. Both the teams come to this match following contrasting results in league. FC Barcelona managed to continue their winning run in league but Valencia was thrashed 4-1 at home by Real Madrid. In both the games the scoreline never gave the clear picture; Valencia wasn't that bad against Real Madrid and Barca weren't that great against Alaves! 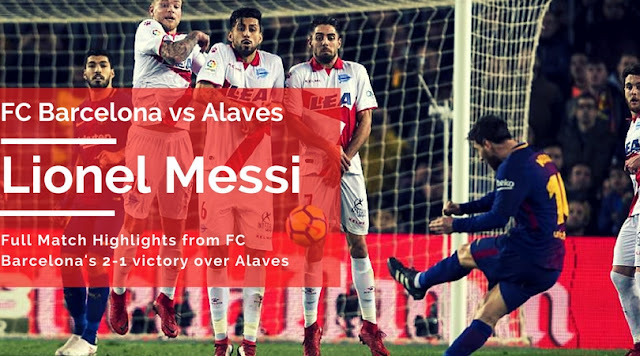 Lionel Messi was in top form against Alaves where we were treated to a couple of brilliant free kick. The best of those were the ones in the 42nd minute and 84th minute. The first one which was the best of the lot was brilliantly saved by the keeper. The second helped us to secure the three points at home. FC Barcelona continued their winning ways in League with a 2-1 come back from behind victory over Alaves at the Camp Nou last night. With this victory Barca have regained the eleven points lead on the top of the league table. This was supposed to be a easy game as Alaves was lying just one places above the releagtion zone. But it turned out to be anything but that; Alaves took the lead in first half and we were struggling to equalize for most of the part against a well organised side. It took two late goals the first from Saurez in 73rd minute and the winner via free kick by Messi in 84th minute to secure the three points. Copa Del Rey semi-final draw is out and Barca is to face Valencia in the semi-final. In the other semis, Sevilla will face Leganés; that's a clash between two side which eliminated the big teams from Capital City. Not only Barcelona will face the toughest team, we have to play the second leg away from home. That makes the tie pretty difficult and also increases the importance of the first leg. FC Barcelona secured semi-final spot in Copa Del Rey with a 2-0 victory against Espanyol at Camp Nou. Lionel Messi and Luis Saurez both scored the goals for Barca on a night where Coutinho made his official Barca debut. Before the start of the match there was a tribute paid for the service for Mascherano, who is leaving Barca. 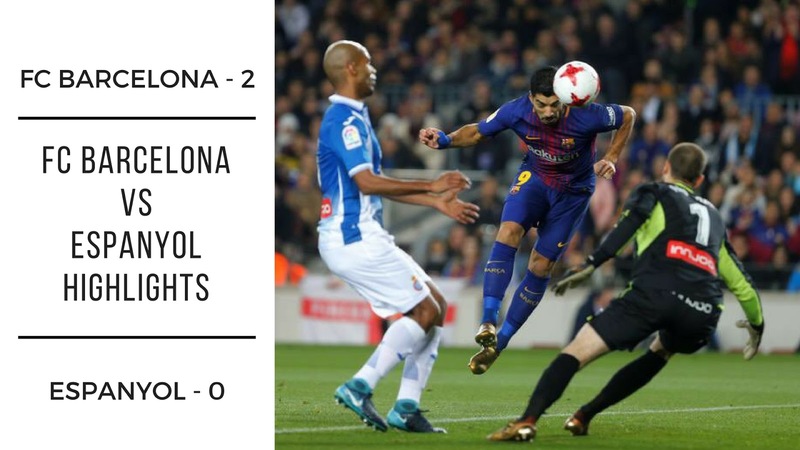 FC Barcelona secured the passage to Semi Final of 2017-18 Copa Del Rey Semi-Finals with a 2-0 victory over city rivals Espanyol at the Camp Nou. Luis Saurez and Lionel Messi both scored early in first half to help Barca over-turn the 1-0 deficit from first leg. 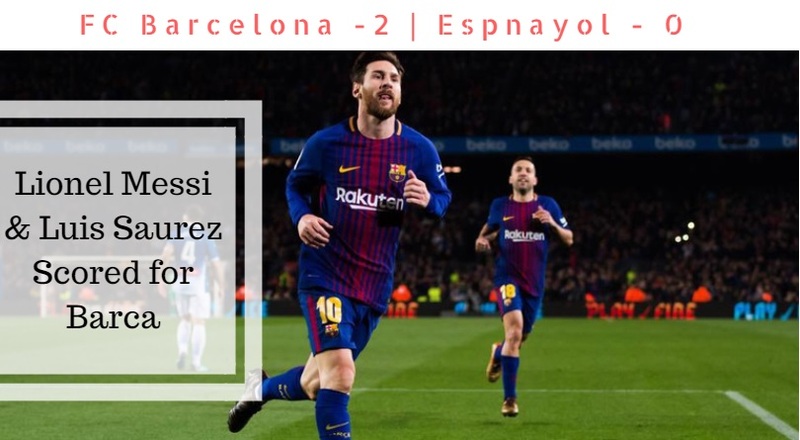 FC Barcelona have secured the semi-final spot in Copa Del Rey semi-finals with a 2-0 victory with an efficient performance at the Camp Nou over city rivals Espanyol. Any doubt of Barca's progress was put to rest when Luis Saurez scored early on the first half negating the opponents advantage from first leg. As I mentioned in the Barca vs Espanyol Preview, the early goal completely changed the tie to Barca's advantage and Lionel Messi's goal secured the victory and passage. Everyone expected Barca to seal the victory with at least one more goal but that wasn't to be and that made for a nervous ending when it was clear a goal from Espanyol means we will go out on away goals. But then our defense never gave a decent sniff to Espanyol's offense even though our forwards were wasting chances after chances. FC Barcelona vs Espanyol Cope Del Rey Preview | Do-or-Die Match for Barca! 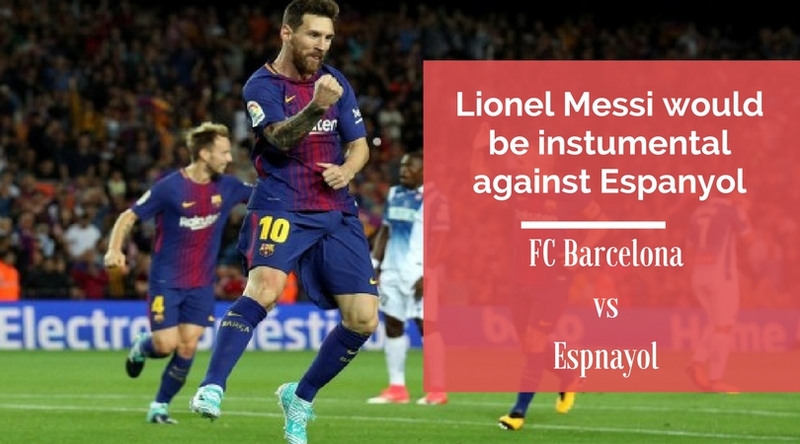 FC Barcelona would be facing their first do-or-die situation of the 2017-18 season when they face Espanyol at the Camp Nou in the 2nd Leg of Copa Del Rey tie. FC Barcelona would be facing their first do-or-die situation of the 2017-18 season when they face Espanyol at the Camp Nou in the 2nd Leg of Copa Del Rey tie. Last mid-week Espanyol condemned Barca to their first defeat of the season when they won 1-0 at their home. In normal circumstances a 1-0 deficit won't be much of a problem for Barca especially at home; but such has been this mid-week that everyone is worried about Barca becoming the third biggest upset! Last night against every expectation Real Madrid lost to Leganés at their very home and got themselves eliminated on away goal after leading the first leg 1-0. Now Real Madrid has joined their city rivals Atletico who was eliminated by Sevilla a day ago. 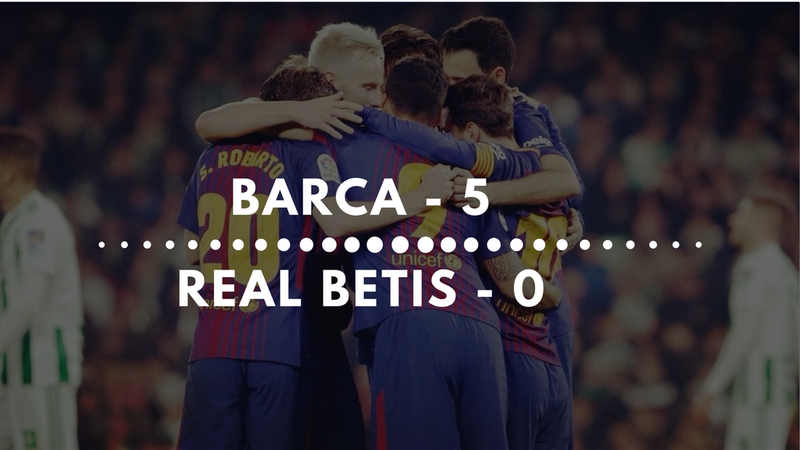 FC Barcelona moved eleven points clear of second placed Atletico Madrid with the 5-0 destruction of Real Betis away from home. Rakitic opened the scoring in the 59th minute; Lionel Messi and Luis Saurez both scored twice soon after to make it yet another memorable night for Barca. Below enjoy the highlights of last night's actions with english commentary. Lionel Messi and Luis Saurez scored twice in Barca's 5-0 victory over Real Betis at the Estadio Benito Villamarín stadium. Luis Saurez has now scored in seven consecutive match in the league and he is still far from firing on all cylinders. Barcelona Futbol Club players have not let down their intensity so far in the league despite everyone of their challengers falling behind. It was a weekend where the second placed Atletico Madrid dropped points when they were held to a 1-1 draw by Girona. But that never made Barca players complacent, instead they saw their chance to increase their lead at top to eleven points. The current lead if sustained will be enough to win Barca the title before Real Madrid visit Camp Nou later this season. That should act as a motivation for the players! 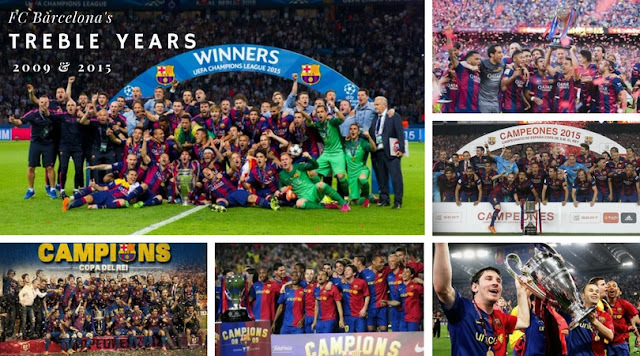 Click here to check out how you can profit from Barca's incredible run in the League. At an odd of 1.01 Barca tower over everyone in winning the League as per Betting experts. Barcelona will bid to continue their relentless march towards the La Liga title when they visit Real Sociedad on Sunday. Ernesto Valverde's side travel to San Sebastian full of confidence after thrashing Celta Vigo 5-0 on Thursday to book their place in the Copa del Rey quarter-finals. Barca currently have 48 points from their 18 games, while Sociedad are down in 12th place in the standings, 25 points behind the league leaders. 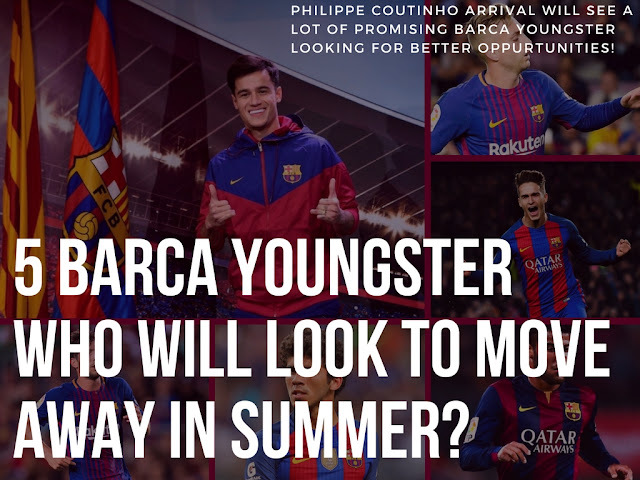 The recent signings of Philippe Coutinho and Yerra Mina have significantly strengthened Barcelona's squad, but there seems sure to be even more transfer activity at the Nou Camp over the coming months. Gerard Deulofeu, Rafinha, Carles Alena, Dennis Saurez and Sergi Roberto are amongst the players linked with a move away from the club, opening the door for even more incomings during 2018. 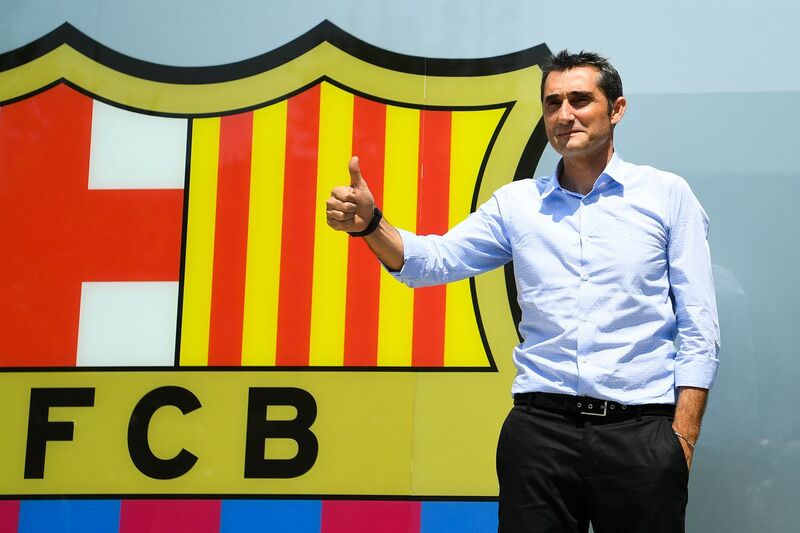 We look at four players who manager Ernesto Valverde may add to his squad this year. All to play for Barca in the second leg of the Copa del Rey tie between FC Barcelona and Celta de Vigo. With the first leg ending 1-1 and Celta's recent history against Barca, this leg will take the priority over weekend's La Liga fixture. For Erneste Valverde, Barca's second leg tie against Celta will take the highest priority over the weekend's travel to Estadio Municipal de Anoeta to take on Real Sociedad. That's the good thing about having a nine point lead over the second placed team in the league; you could prioritize matches. In the league we will get chances to rectify poor results because of the lead. But in the cup we are more or less in a must win match. Technically we need a goalless draw to proceed but that kind of attitude will spell danger. So we should go for the win; anyways we always do! FC Barcelona has agreed on a deal to sign Colombian Defender Yerry Mina from Palmeiras for €11 Million Euros. He is expected to have his medical at Barca this week. FC Barcelona has agreed on a deal to sign Colombian Defender Yerry Mina from Palmeiras for €11 Million Euros. He is expected to have his medical at Barca this week and complete the signing formalities with the club. His signing paves way for Javier Mascherano's exit from the club. The Argentine is expected to leave for China this summer. Everyone was expecting Barca to sign Yerry Mina, but it appears that the club believe Manchester City and Real Madrid could inflate the summer transfer window and the player's price could go up further. 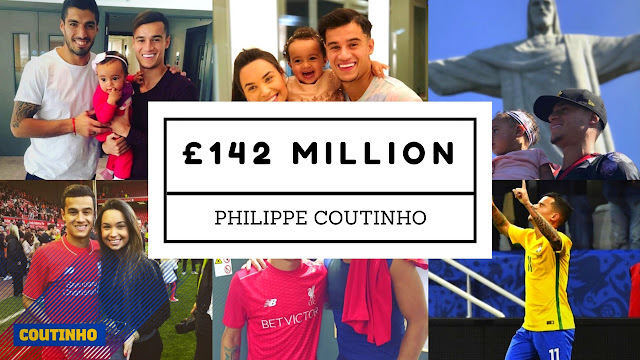 With Barca capturing Philippe Coutinho at a record £142 Million Pounds, the future of many promising Barca youngsters and fringe players are at stake. There could be an exodus of players come this summer inorder to balance the book at FC Barcelona. With the conclusion of Coutinho deal there is expected to be a substantial number of clear-out at Barca come this summer. There are some senior players along with young players who will be either forced or will prefer to mve out of Camp Nou. Of the senior players Mascherano is expected to move to China as he is very much near the end of his career (then looking at Paulinho situation it may be too early to say), Aleix Vidal is another player who is expected to move out even though I wouldn't be very much surprised if the club decides to retain. He could be still a good squad player, one who could play in multiple role. That may be sometimes under-appreciated, but still would have an heavy impact in keeping the squad fresh for bigger matches. FC Barcelona continued their run to another League title with a comfortable 3-0 victory over Levante at the Camp Nou. 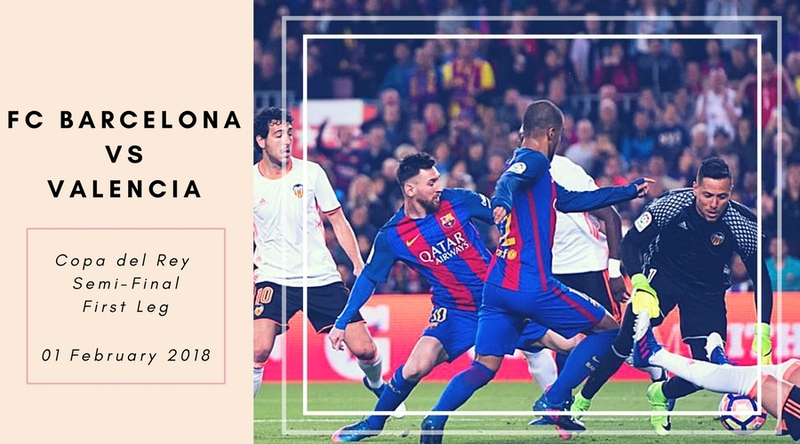 This is the first victory of Barca in 2018 and it came in style with goals from Messi, Saurez and not to be missing Paulinho. FC Barcelona scored the first victory of 2018 with a a 3-0 demolition of Levante at the Camp Nou in a night every attention was on the new visitor, Philippe Coutinho. The ususal suspects Messi, Saurez and Paulinho all got into the score sheet. Messi once again continued his amazing form scoring a delightful opener and creating an even more delightful third goal. The game wasn't an exhibition of sort nor Barca was at their best; something very much understandable after a break. But then they never had to be at the best. Brazilian International, Philippe Coutinho will join Barca for a whooping €160 Million Euros. This is the second highest Transfer fee in International Football History and Now the Highest Three transfers all have involved FC Barcelona. Barca Futbol Club have successfully concluded the second highest transfer in footballing history by agreeing with Liverpool for signing Philippe Coutinho. The total cost which FC Barcelona will incur is in the range of £142 Million Pounds. FC Barcelona will be paying around £106 Million Pounds for the service of Brazilian with another £36 Million as performance/appearance linked; which should be easily met. Once this transfer is concluded FC Barcelona will be involved in all three highest transfer in history so far - Neymar, Coutinho and Dembele, something which has never happened earlier. 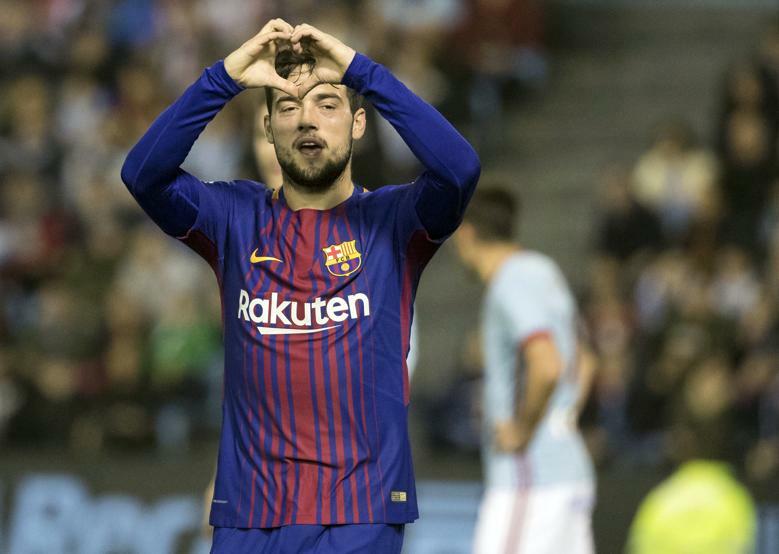 FC Barcelona drew their first game in 2018 at Celta in the First leg of Pre-Quarter stage of the competition. The away goal scored by José Arnáiz will put Barca in control of the tie when they meet again next mid-week at the Camp Nou. 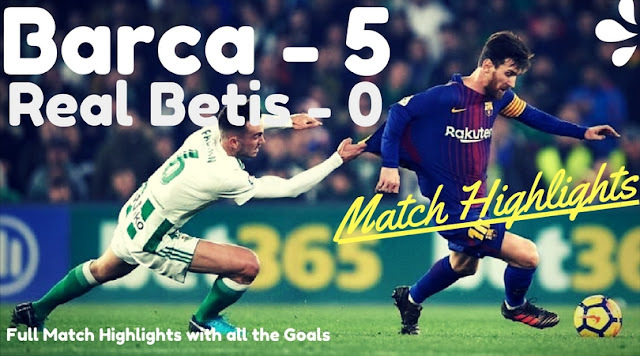 As expected many of the major stars especially in attack was missing in this match but Barca still produced an effective display and also had enough chances to win the match. One of the most inspiring scenes of the match for fans was Dembele's return and he looked pretty decent even after such a long injury layoff. 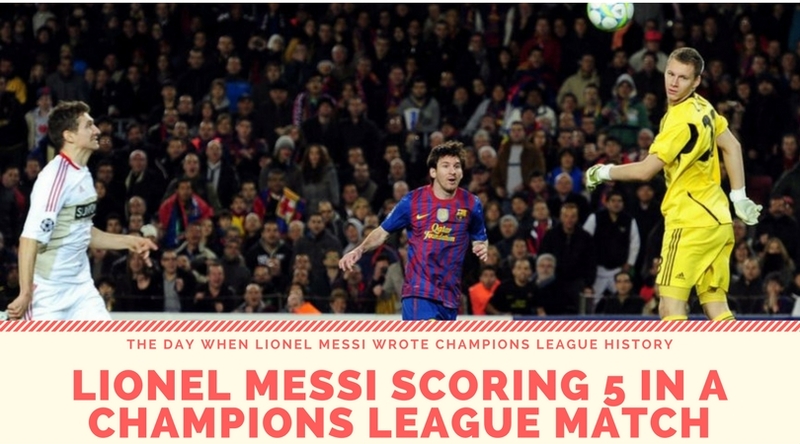 Lionel Messi wrote Champions League history when he scored five goals in a single match in the 7-1 thrashing of Bayer Leverkusen in UEFA Champions League Quarter Final of season 2011-12. We don't get to see the scoop over the Goal Keeper's head nowadays. Those days that was a regular thing he did; luckily he hasn't stopped scoring tons of goals. 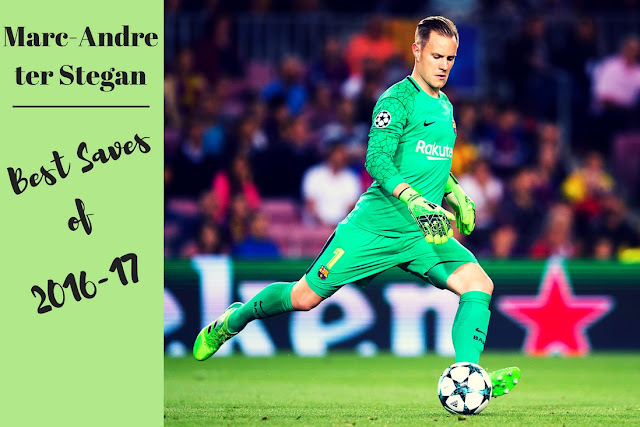 Marc-André ter Stegen has been one of the highest performing player in Barca ranks this season, esepcially last year. He was considered pretty reckles but he has shone through all the crisis time to be one of the, if not the 'Best Goal Keeper in the World'. This season he has been sensational saving Barca many a times single handedly and the eleven clean sheets he has kept so far in League is a testimony to that. Amidst all the noises surrounding Coutinho transfer saga, Umtiti rumours should worry Barca most! Since the opening of the Winter transfer window, there is only one name in the Barca circles - Philippe Coutinho. All the news in one way or other is linked to the Brazilian and daily there are tons of rumours related to it. Some claim that their news are authentic; but then we saw how trustful they were in the Summer transfer window. 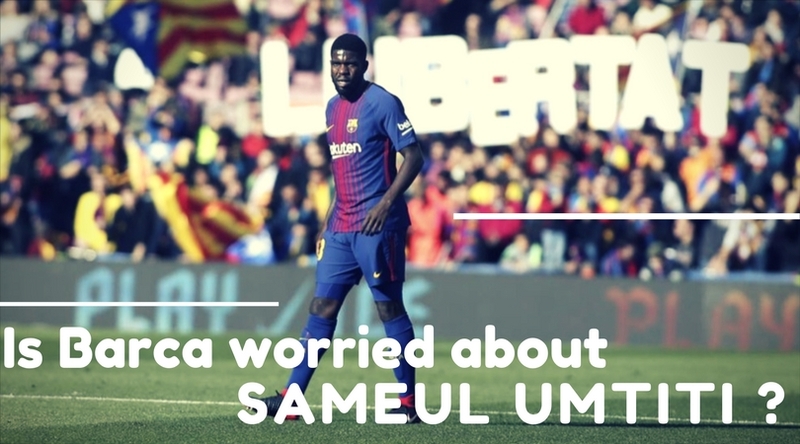 Amidst all these noises, some other rumours related to Umtiti is worrying everyone. At first it looked like someone's imaginative thinking but lately it appear to be taking a life on it's own. It actually doesn't make sense, but Barca fans and supporters are like the "A cat bitten once by a snake dreads even rope"; especially after seeing how the Neymar saga evolved rapidly. Santiago Bernebeu has been Lionel Messi's favourite hunting ground away from Camp Nou. The records speaks for itself. 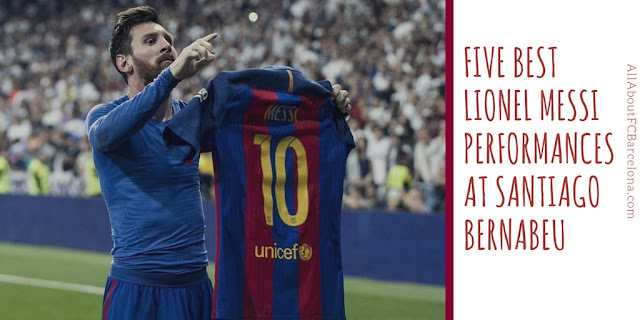 With the latest goal in this edition Lionel Messi became the highest scorer in 'El Clasico' history. He also have scored the highest number of 'El Clasico' goal at the Santiago Bernabeu. Some thing special against your enemy? Here is a compilation of Lionel Messi Best 5 performance against Real madrid at the Santiago Bernabeu. 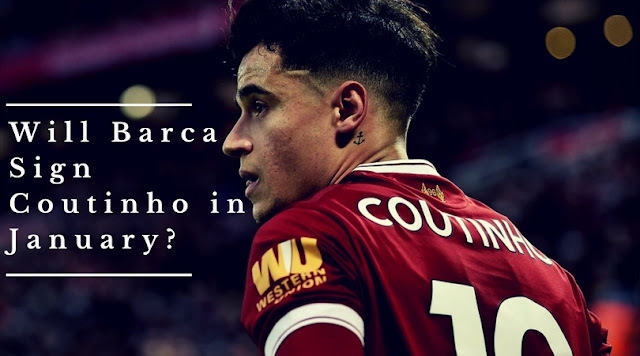 The ongoing saga surrounding Barcelona's pursuit of Philippe Coutinho looks set to rumble on, with the latest developments taking a rather odd turn. New Year's Eve sent Liverpool fans into meltdown as sportswear giants Nike, who manufacture Barca's kits, advertised club shirts with Coutinho's name on the back, despite the fact that no deal has been agreed. Coutinho was the subject of numerous bids by Barcelona last summer and he has been strongly linked with a move to Nou Camp in January. Barcelona had an indifferent 2017 by their usual high standards, but there's plenty of reasons to believe 2018 could be a special year for the club. A third Copa del Rey win in a row was Barca's only trophy during Luis Enrique's final season as manager, with the team coming up short in both La Liga and the Champions League. 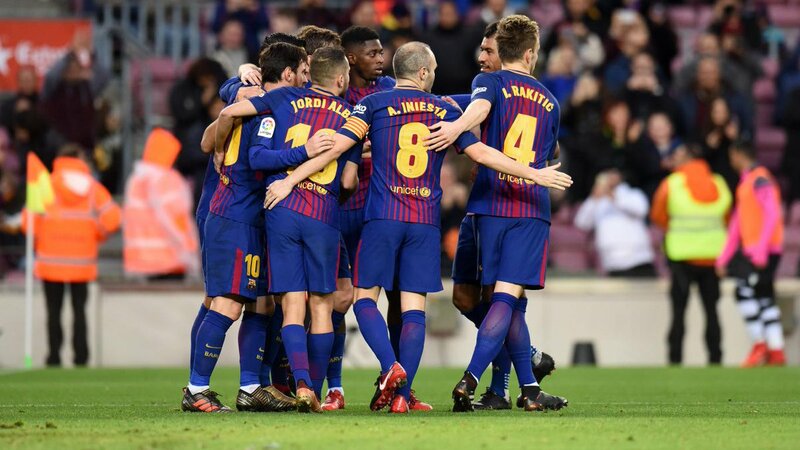 Read on for four things Barcelona can look forward to in 2018.